Alexandra Orlando’s journey started out very similar to many college gamers. Excited for the future, yet unsure of how she could turn her true passion into a career. 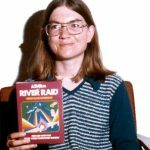 Following the typical path, she pursued her other interests of writing and film until she discovered that the gaming industry offered a multitude of career and education opportunities. After receiving her Bachelor’s Degree in English and Master’s Degree in English and Film she entered into the English Language and Literatures PhD program at The University of Waterloo, where she specializes in game studies. During her time in the field, she has become well-accomplished and an expert in many gaming segments, including eSports and gaming diversity. Orlando was kind enough to discuss her studies and experiences with Gamer Women. Orlando’s passion and enthusiasm for all things gaming is evident in her work. One of her primary fields of study is eSports, the fast growing and widely popular video game sport is currently selling out historic arenas such as Madison Square Garden and Sang-am World Cup Stadium in Seoul, a stadium that fits close to 45,0000 people. Similar to how fortune 500 companies use consultants, statisticians, and thought leaders to grow their businesses, eSports organizations could use experts like Orlando in this ever growing and expanding enterprise, making her the first of her kind. Seeing a sport that is growing before our eyes, Orlando is very optimistic about the inclusion and advancement of women in the field. Predicting an increase in all women teams/leagues, which will inevitably lead to more integrated teams. Not to mention giving women an opportunity to make a full-time income from professional gaming and sponsorships. However, Orlando isn’t just a one-trick pony. She also focuses on the complexities of gaming characters, giving notable presentations such as “Bioshock: Infinite: A Case Study of Player/Player Character Interaction and Narrative Development in First-Person Shooters” and “From Male to Female: Why Harry Mason Cannot Rescue His Daughter in Silent Hill.” Besides giving speeches and presentations, her work is also currently being featured at first person scholar and other prominent news outlets centered around forward-thinking ideas and theories in the gaming industry. Despite her progress and contributions to the community, she has been surprised by the sexism that she has experienced in her field. Even recounting a time, where she organized a gaming event only to be asked if she played the game by a fellow player. When asked how she handles such negative presumptions she states that “it does get tiresome at times”. Despite her setbacks, it is not all doom and gloom, Orlando does see Diversity improving as many organizations such as Anykeyorg and Gamer Women continue to raise awareness on the subject. Although progress is continuing to be made, she states that she would still like to see more diversity of not only women, but for those of all sexualities and races. When looking at the future of gaming Orlando believes that VR (virtual reality) seems to be the future. However, reminds us that there still is a love and demand for retro style games, giving all Mario and Nintendo enthusiasts a sigh of relief, at least for now. Besides being on her way to being a worldwide thought leader in the gaming industry like many video game pioneers before her, Alexandra is just a normal gamer girl whose favorite game is Super Smash Bros. Melee and favorite movie is the sci-fi classic Blade Runner. When she isn’t studying her craft you might also find her participating in her recent hobby of trampolining or enjoying all the wonders of Korean pop culture. You can catch Alexandra streaming on Twitch here and find more of her academic work at aorlando.com. She also contributes as a writer for Games Institute and is a commentary editor for First Person Scholar. The sky is the limit for Orlando, as her future career options could include; working for a gaming studio, teaching in the gaming field, consulting, journalism and more. 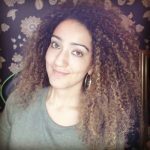 She is proving that women have a vital future in the gaming industry and are contributing in more ways than just game development and consumption.